Chennai: Vijay television is all set to launch an all-new show Wife Kaila Life. The show is slated to get launched from April 15th, every Sunday at 8.30 pm. 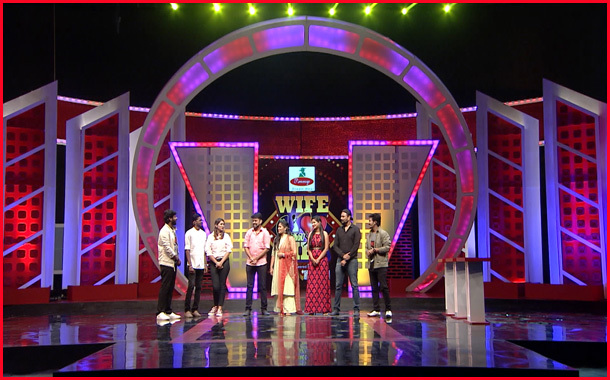 As the title suggests, a first of its kind game show for couples with exciting and fun tasks, where the wife will face the tasks. These tasks will test their brilliance or endurance level. And if she fails to complete, then the husband must face a sweet revenge for it. A game show which will test the brilliance and endurance level of wife. The show will have Celebrity and Non- celebrity couples. Every week, the show will have three pair of couples every week, and four exciting rounds. The show will be hosted by Actor Azhar, the title winner of Kalakka Povathu Yaru 7. For the first time he will be seen as a host of a game show. Along with him the super talented anchor turned actor Rio of Saravanan Meenatchi and Ready Steady Po fame will be hosting the show. It’s an all-new format that will be entertaining its viewers every week.